The U.S. will be the largest participant at India’s main defense and civil aviation event which kicks off Wednesday in Bangalore. Boeing, Raytheon, Lockheed Martin, Northrop Grumman, Bell Helicopter and Rockwell Collins are part of the contingent from the U.S., as it aggressively pitches for billions of dollars in defense contracts from India. More than 700 companies will participate at the ninth edition of the biennial Aero India show, the event’s organizers said. As many as 78 countries will send their delegations, compared with 45 in 2011. Israel, one of the biggest suppliers of defense equipment to India, will send the second-largest contingent after the U.S., followed by Russia, India’s long-time weapons supplier. On display at the five-day event will be planes like Boeing’s C-17 Globemaster airlifters as well as Lockheed’s F-16 Fighting Falcons. 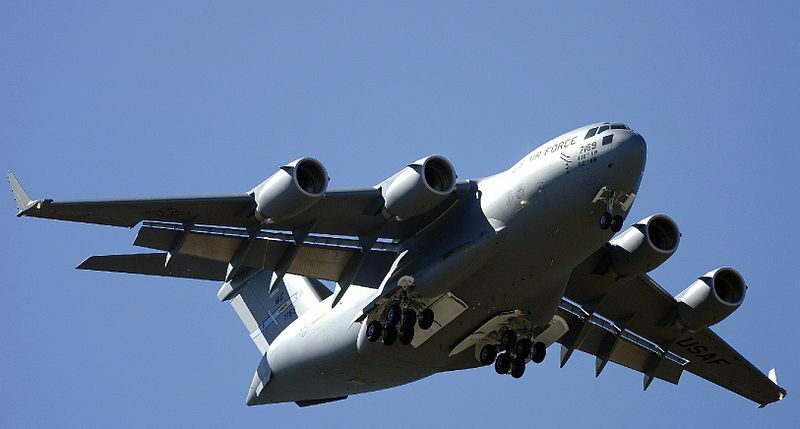 India is the largest customer for the Globemaster outside of the U.S, having ordered 10 of the huge military-transport aircraft. Boeing’s F/A-18 Hornet, Saab’s Gripen and the Eurofighter Typhoon will be noted for their absence. These fighter planes were a major attraction at the past shows as they competed for an Indian order for 126 aircraft, estimated to be worth more than $10 billion. For the complete story by Santanu Choudhury of The Wall Street Journal, click here.